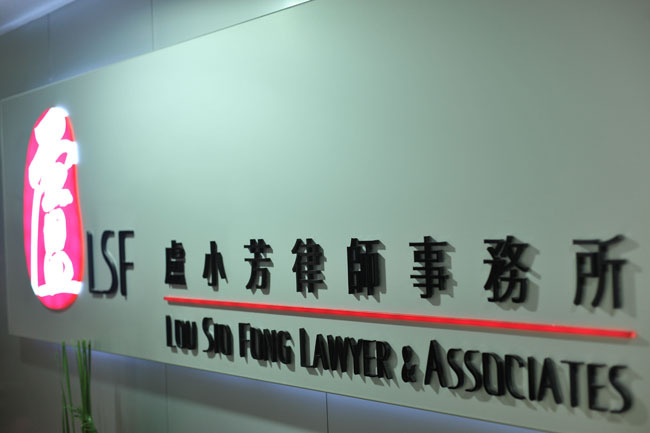 Lou Sio Fong Lawyer & Associates is a law firm established by a Macau local Chinese lawyer in 2010. Our partners and lawyers are all graduated from reputable law faculties and universities, with Macau and Portuguese legal knowledge and substantial practical experiences. Based on our understanding of culture background, political system, judicial system and investment environment of Macau and our multi-lingual ability, including Chinese (Mandarin and Cantonese), English, Portuguese and etc., we are capable to provide professional legal services to clients from Mainland, Hong Kong and overseas. We provide legal services covering civil law, business law, especially company law, contract and acquisition, labour law and labour disputes, inheritance law and family law, divorce and distribution, real estate law and tax law, intellectual property law, industrial property law and financial law; criminal law and administrative law, including administrative complaint (statement objection, administrative appeal and court appeal). The firm has a team of experienced members who are proficient in mediation and arbitration knowledge and process, therefore, we are not only satisfied with offering legal analysis to clients simply, but also focus on making applicable suggestion and plan to client, in order to ensure that clients benefit from appropriate advice and to protect their valuable right, meanwhile we maintain close and long relationship with clients. We aim to provide our clients with the highest quality legal services, which is our principle of service.